How about adding post-vacation vacation, and it’s already Mark John. That weekly cravings that got botched makes me want to throw tantrums like a kid. So it was my fault that I got late again for the yoga. It’s just it would take too much of my time just to be in the city to get my dose of weekly yoga, and I still mess it up definitely frustrates me like I want to bang my head on the wall for being so lame. So anyway, I just picked up the “wheat grass” kit by Cebu Hydrophonic Garden from Chez Toztar hoping it would shoo away the BV-ness (Bad Vibes). 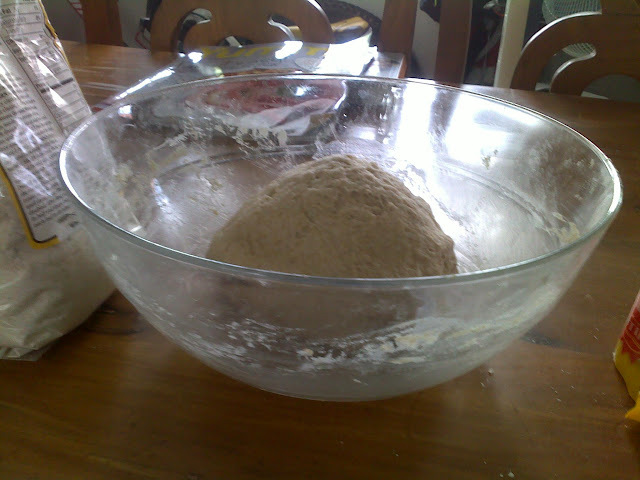 But I’m still angst-y when I got home so I proceeded to get some flour, and knead my frustrations away. 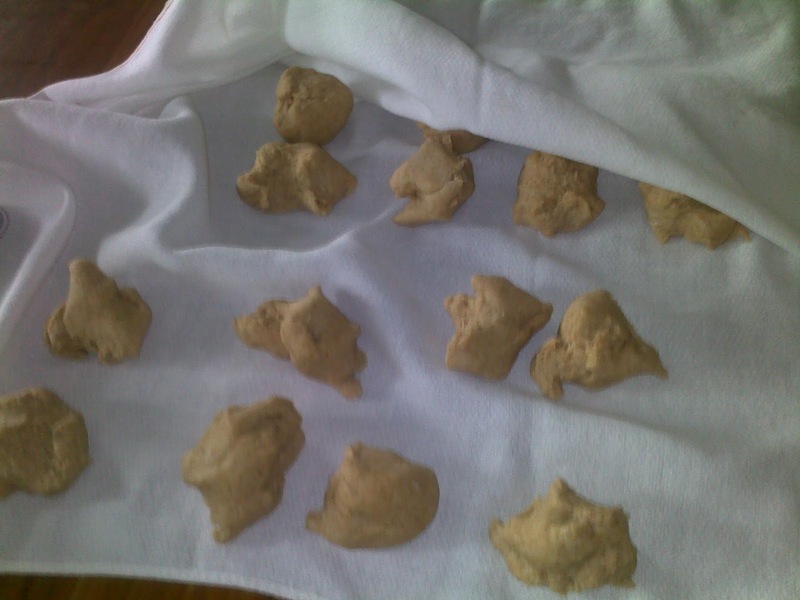 I hope to produce some decent pita breads from the above dough, which is “sleeping” for now. 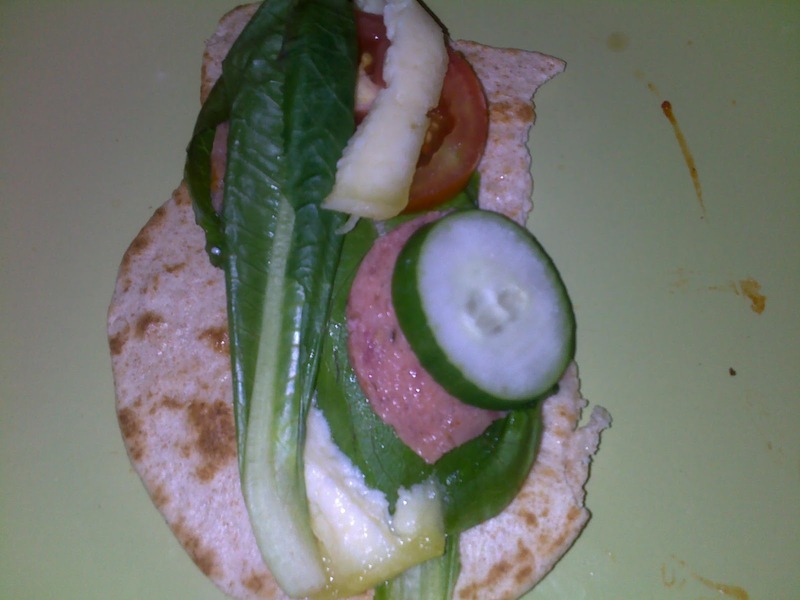 A few of it, I plan to make some mini pizza for the kids. 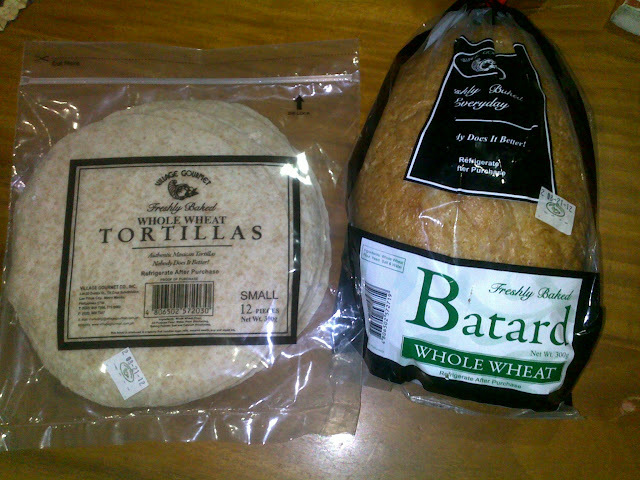 Then, the rest will be pita bread like duh. 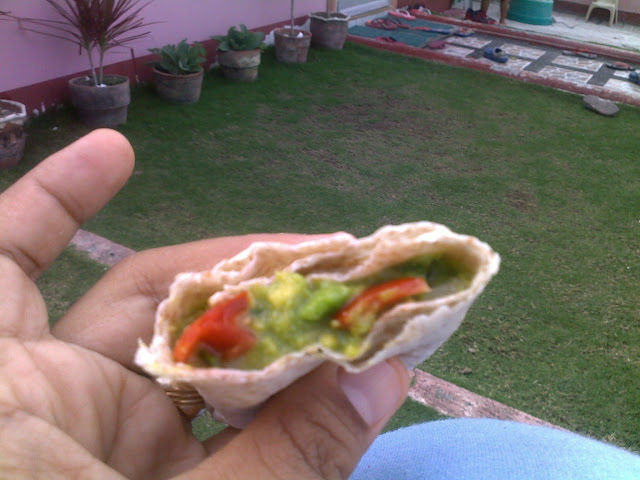 * for all-purpose flour, I follow Munatycooking’s Pita Bread – Oven not needed recipe here >>. 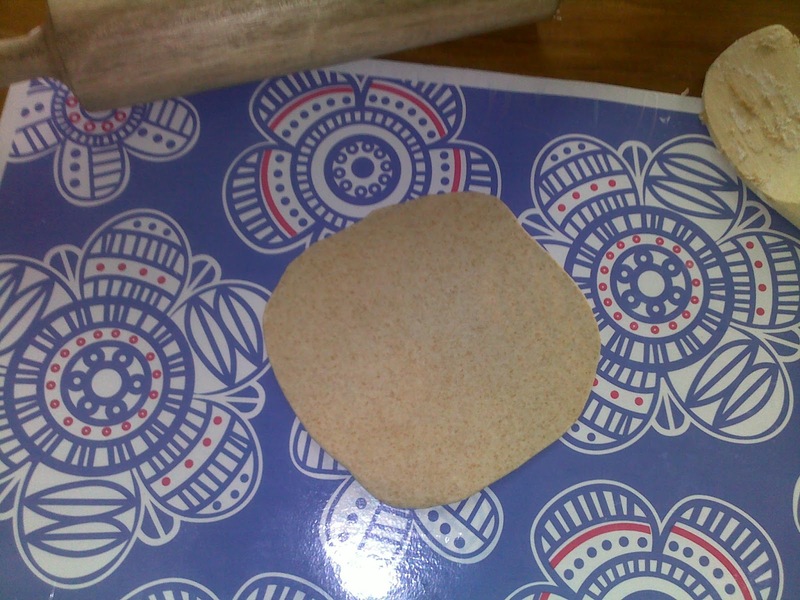 I used this on my first tries as all-purpose is cheaper than whole-wheat flour. What has become of my frustration? What they said that once you have a taste of the “real” version of the foods, it’s just totally different from grocery-brought versions. One of those is the cheese. Once I started getting my cheese from Cebu Dairy Fresh, which is actually already a bit processed, and the Compostela keseyo (another white cheese version) (which for me is less processed), the Magnolia quick melt cheese just loses its appeal to me. You can somehow differentiate the add-on ingredients they added tothe quickmelt cheese that you can’t help but feel that probably only 20% of it is real cheese. Then, I happen to chance upon a recipe and instructions on how to make butter from scratch. Looking at it, it’s not really that difficult. 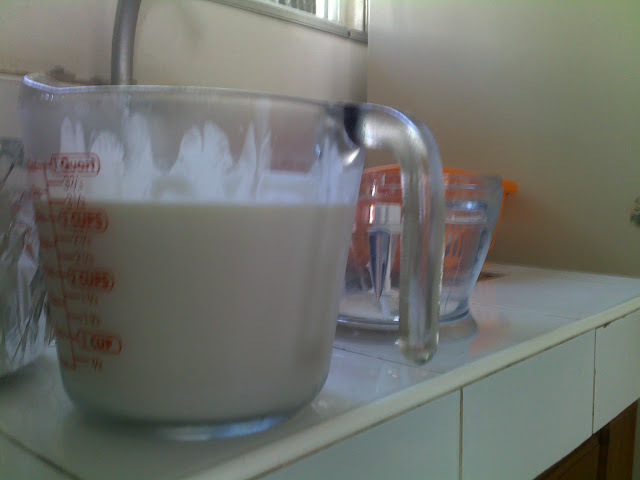 So I bought 1L raw milk from Cebu Dairy Fresh to experiment making butter from scratch. You only need to let the raw milk sit at the ref overnight, then there will be these “elements” that would float at the top of the container. Scoop them up, dump it at your food processor. In my case, I use a food chopper. Then, just pulse it until some of them solidified. From the 1L, I only managed to squeeze these much butter from it. And, the result is home-made butter is just delightful. It melts with an attitude in my mouth. It brought life to the boring Batard bread. And, it just tastes lovely eating just the better alone. 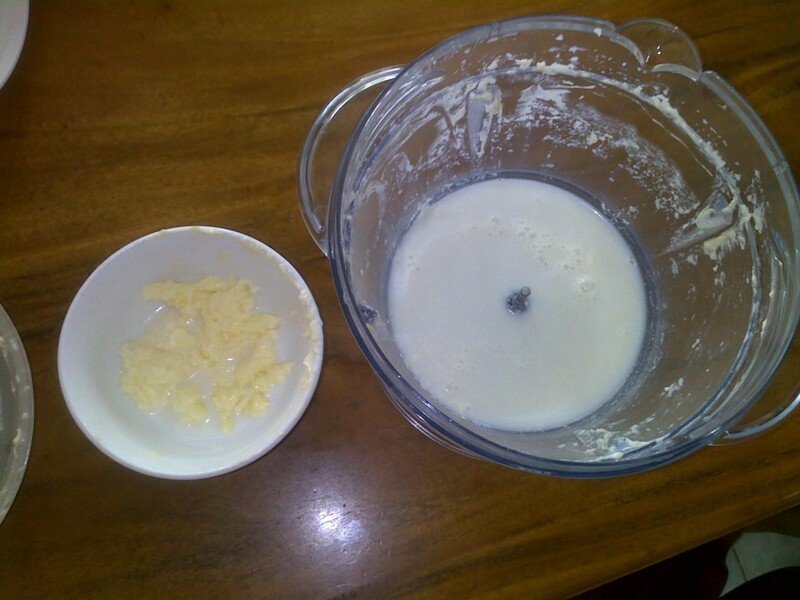 For a more detailed instructions on how to create butter from raw milk, click here >>. Yesterday, I watched 2 documentary films — Bob Marley and Jiro Dreams of Sushi. And, just with other successful people, it takes years for them to reach some sort of “success” level on their crafts. Though, according to Jiro he could not say he’s already at his best as every day is a chance for him to be better. Sometimes, we had this thinking that we wish to be successful so we will no longer be doing the dirty work. But looking at Jiro, he only stopped going to the fish market when he collapsed from some sort of heart attack. But then the fish marketing was never delegated to their interns or other stuff, the job was then inherited by his son. In case of Bob Marley, he went through the phase of performing in cemeteries to overcome stage frights, to distributing their music on his own. It might be just the documentary film’s director trying to make Bob Marley look good but all the clips of his performances showed how soul-ful his expression is when performing. Or, maybe it was just my impression. From the different biographies I read about extra special “successful” people, when they describe their craft, you can always feel a special connection between them and their craft that goes beyond what we can physically grasp. It’s far from what is typically described by hollywood movies as successful — the blings and the $$$. Anyway, after watching the films, it made me think what is my craft. What is that one craft that I could relentlessly pursue to perfection and beyond? He asked for a lunch treat for his classmates. But we settled with afternoon snack’s treat. 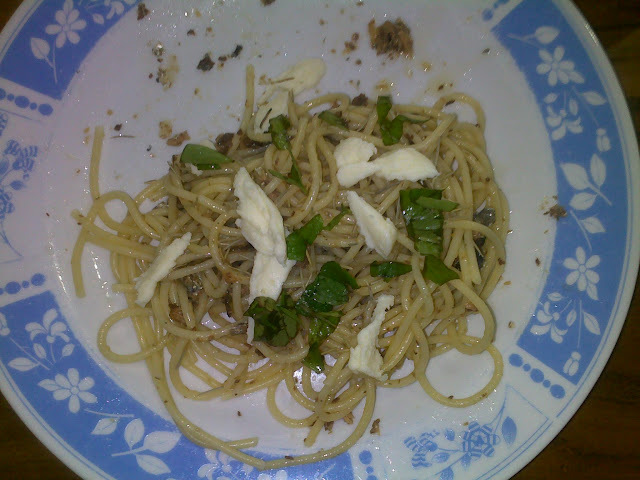 Then, at home, we had some spag and chicken. It’s quite a slow week for us last week. All the babies had 2-day off. I don’t know what were the holidays (Yes, I’m lame!). 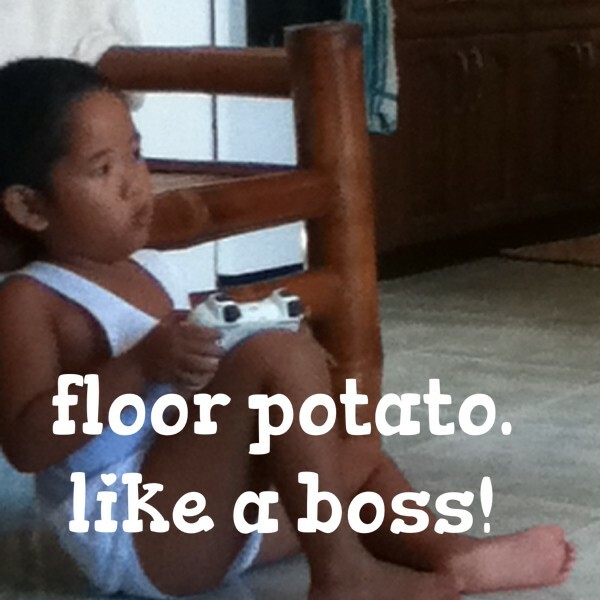 Ate Mona was also off for the 2-day holiday so I think I was busy during those days I could not recall what happen. 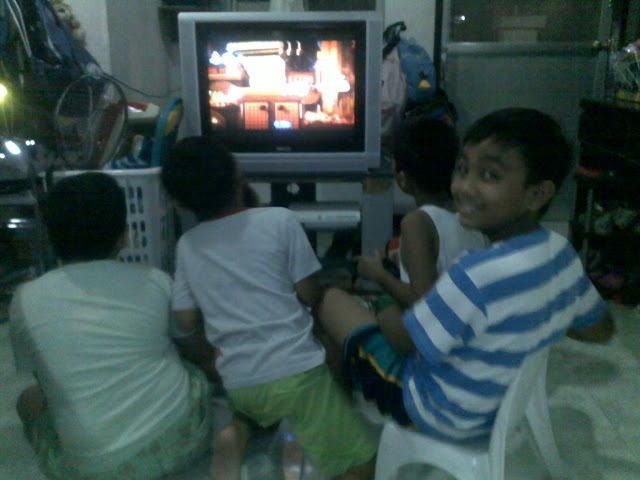 So my best guess was that I let the video games babysit for my kids. Then, add a few threats in between to force Mati to study alphabets. 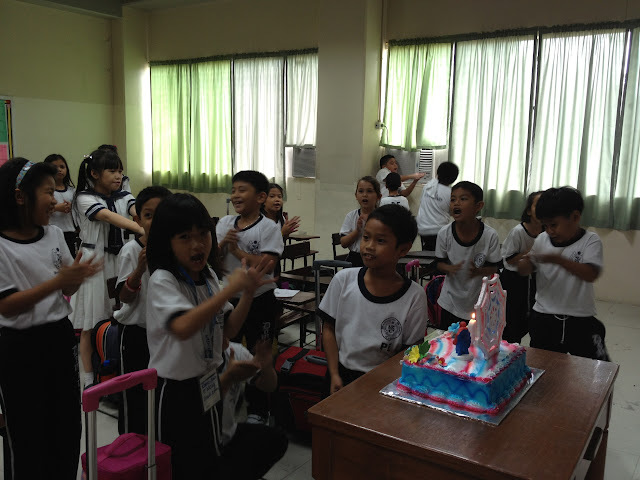 Then came Saturday, Migi and Meg had some activity at the school. It was something about for their holistic development. 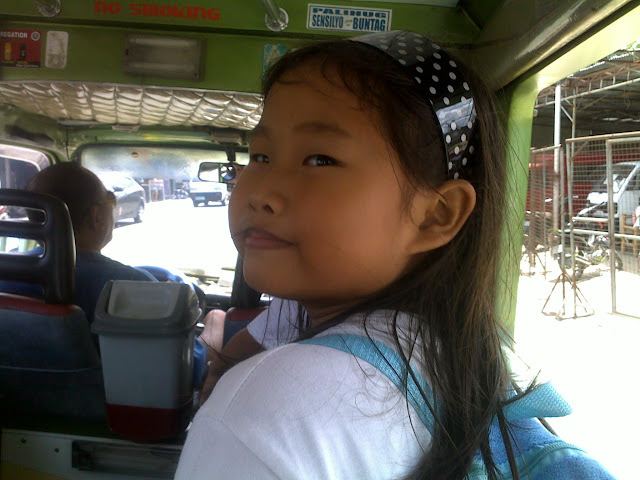 Anyhoo, I had to send them and pick them up from school as Mark was away in Camotes for a bike ride. 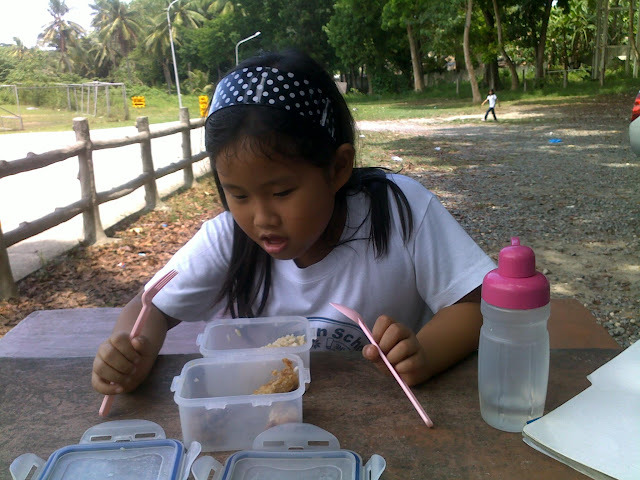 When I picked them, Meg asked to finish her food before we go home. 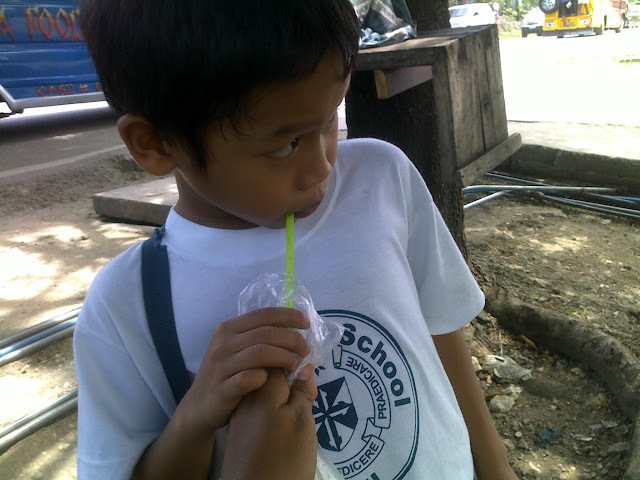 We tried the buko juice at the roadside while waiting for a jeepney ride. I write self-centered interests because I am so often alone, because I am the person I know best. Alone? I blame it on my being an only child. 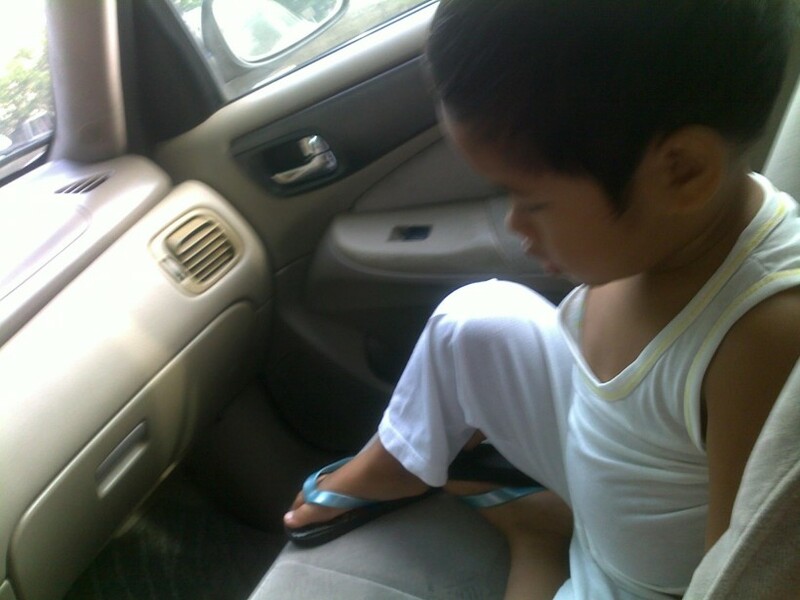 I read somewhere that only-childs tend to create their own world, and talk to their selves. I am all of those. I’m definitely not alone. But I guess part of growing up alone as an only-child, I develop the talent to isolate myself in a bubble of my own world even if I’m in a crowded party. And, because of that I’m clumsy and distracted, and that’s why I keep losing stuff. It’s because though I’m physically present in a certain place, but my mind is wandering somewhere away. It probably can be also the reason why I look like I’m a good listener kind of friend. If I find someone’s story boring, I just listen and create another version of it in my head. Write? I could no longer keep how many blogs I created and abandoned. I probably have one in every blogging platform on the www. Sometimes, I want to whack my self on the head why I cannot stop writing and blah-ing and writing and blah-ing. Really, if people get annoyed of my endless chatter on every social network / blogging platform, I’m more of annoyed of myself. Sometimes, I scream (inside my head) at myself of why I cannot f*cking stop to blah and blah (like right now). But then, after some time, I thought it is I. If I’m going to stop writing and blah-ing, it will be no longer me. 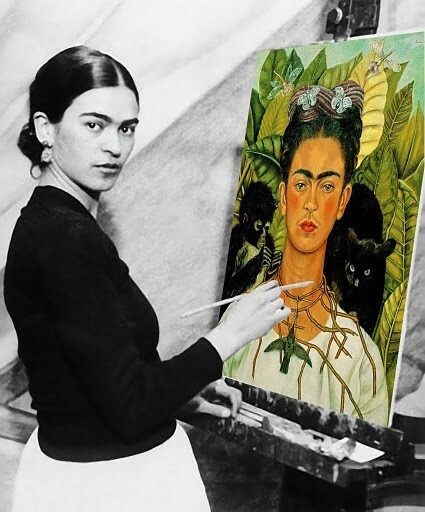 I’m not comparing myself to Frida Kahlo. I don’t want to insult her. But I’m happy to know that it’s normal to be so interested of myself. 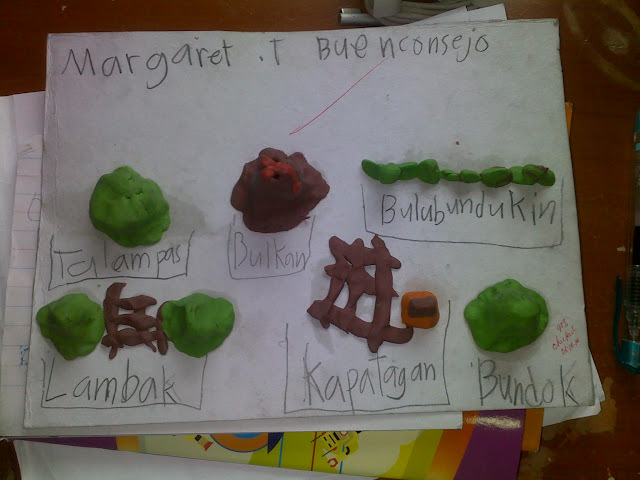 Migi and Meg had projects that asked them to bring clay to school. 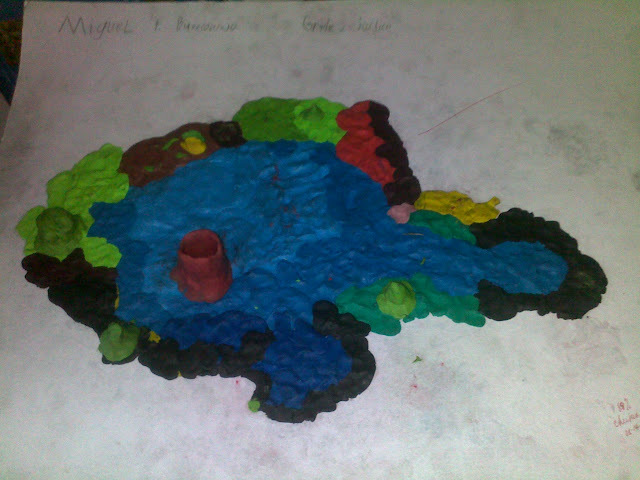 They’ll be making clay models of different land forms. 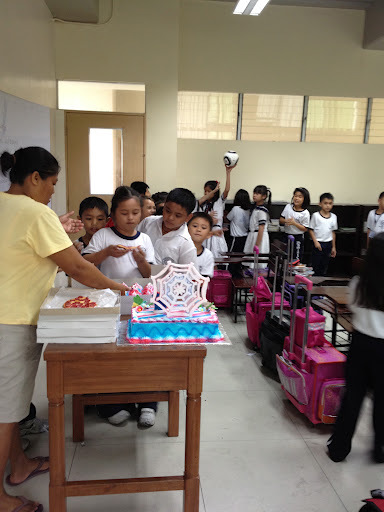 We let him choose what he would want to receive as a birthday gift, a new school bag or rubber shoes. I was hoping he’d go for a rubber shoes, but he chose a new school bag. 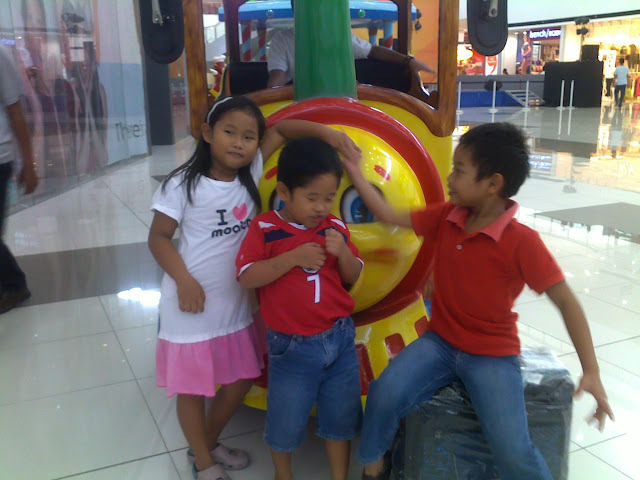 So Wednesday, we went to SM City Consolacion so he can pick his new bag. He specifically asked me that he should be the one to choose his new bag. His choice was a confirmation that’s Migi has somewhat the same taste with Mark when it comes to choosing their stuff. His first choice was a spiderman bag. But after more looking around, he went for this more plain-looking school bag but has all the features in the world, which might take him until grade 6 to use all of them. And, best of all he can sit on it. So it’s actually a chair sidelining as a bag. And, the thing that confirmed him most that he’s Mark’s son is that the bag is expensive (compared to the other available bags). We agreed that it will be his bag until grade 6. 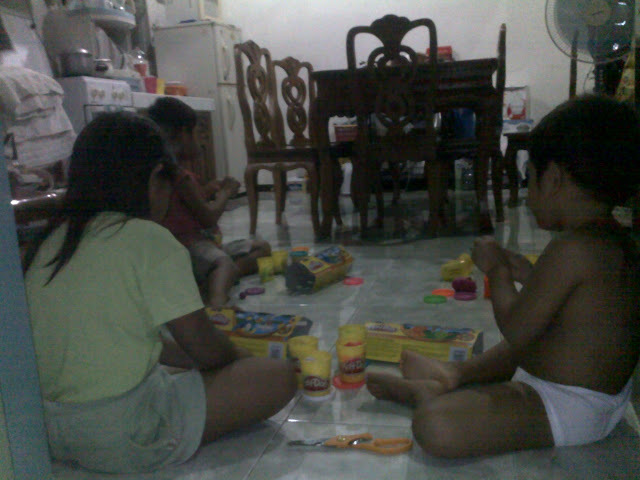 Since their clay project, they’d been asking me to get them more clays. With their everyday nagging, I just had to give in. 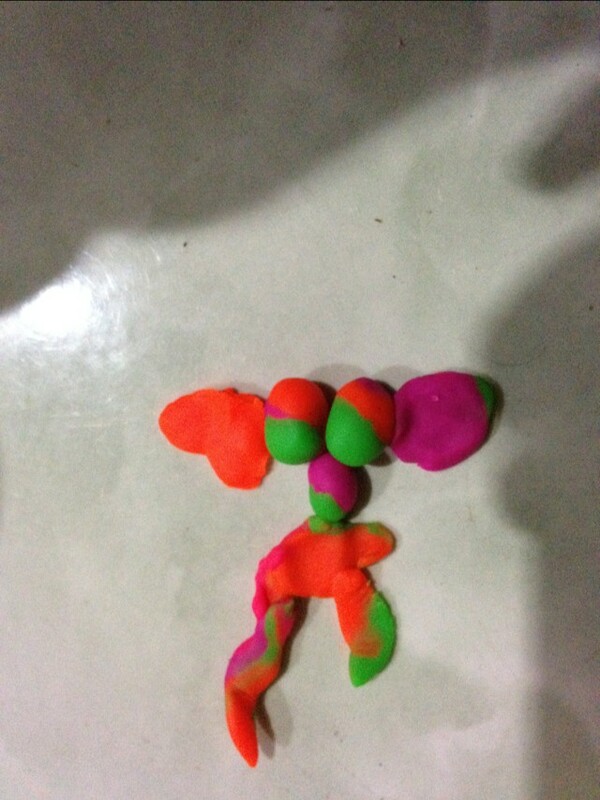 None from migi as he did not want me to take pic of his as it’s not perfect. Last week was an exam week for them. 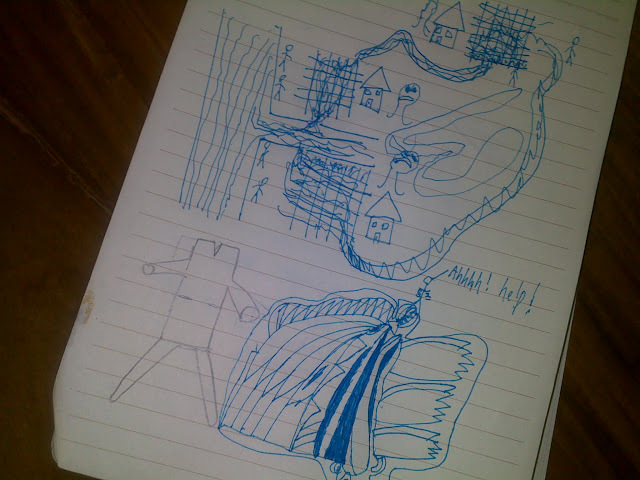 In between studying, Migi had these doodles. There were actually more of these. Someone had his holiday earlier. Friday, Mati went to school but only to drop his siblings. He did not like school that day. Is it just me that I feel my kids are victims of “advanced-sitis” syndrome of our school education system? I feel like every thing in school is designed for the kids to be “advanced.” It’s always about who has advanced subjects, advanced technology, advanced facilities, advanced teacher. What happen to having the basics??? For a long time, I’ve been ranting, inside my head, how impractical our school education system has turned into. But I kept it because if I don’t like the school system, then I should be pulling my kids out from it, not whine. My youngest is 4 years old. When I enrolled him, I was expecting him to be in nursery, the very 1st level in pre-school. But some recent changes in our education system, which they called K-12, demanded that at his age, he should be in Kinder 1, the next level. Kinder 1 already expects the kids that they know the alphabets and numbers and maybe algebra. 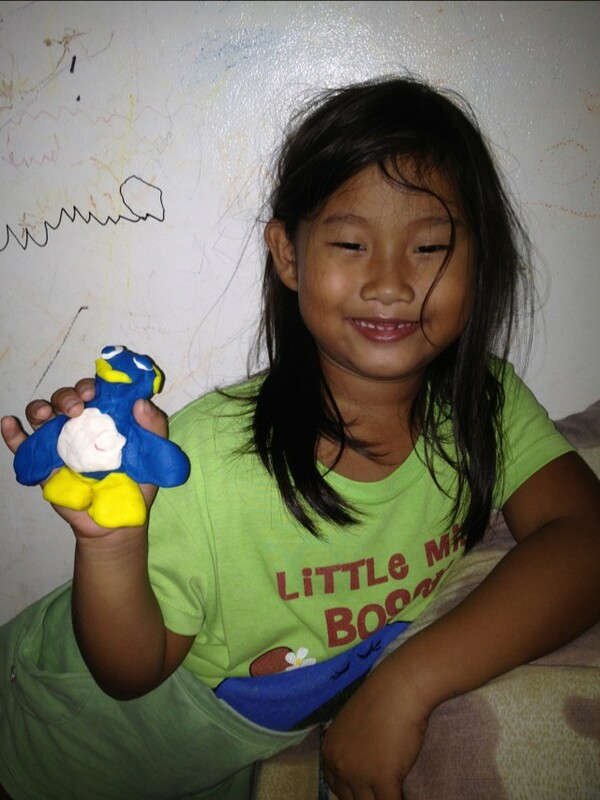 During enrollment, knowing Mati’s talent, I asked the school staff if they could just put him in nursery. 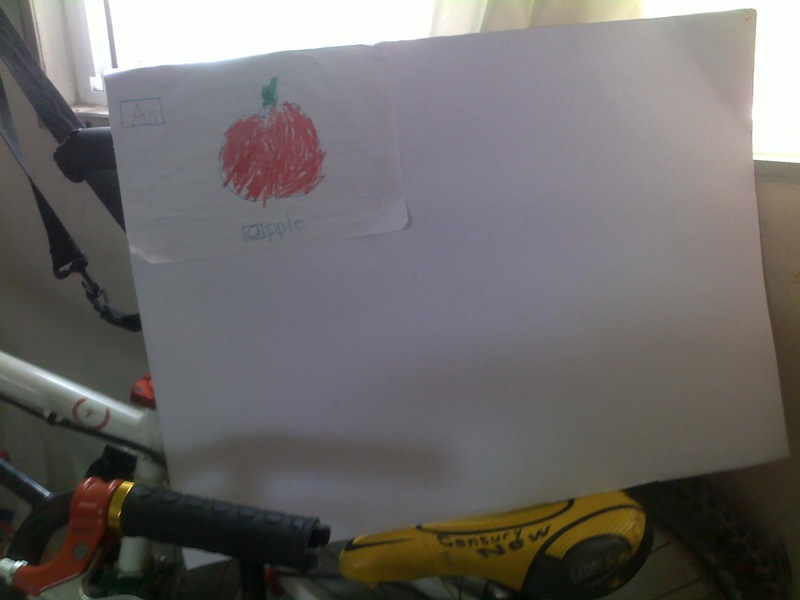 But they reasoned out he would be delayed if he’d be in nursery. So they advised me to enroll him in some summer class or teach him during the summer time the alphabets, numbers, and how to write his name. So he could catch up with the Kinder 1 level. Of course, the good mother in me did not do any of it. I mean, seriously, hello, it’s summer vacation! So now, Mati and I both suffered the consequence. He always has to take his reading / writing exams twice. I’d asked twice the teacher if I could downgrade Mati to nursery but they always reasoned out that he’d be delayed. I told them that I really do not care about my kid being delayed. There’s such thing as catch-up. But then they assured me that he’s also too “advanced” to be in the nursery; mati’s quite good except that he does not know alphabets. Duh! 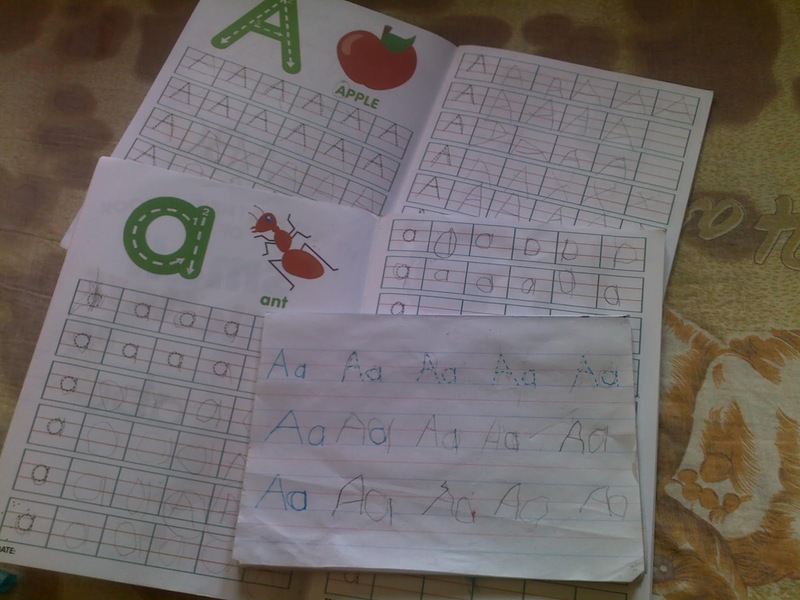 So after getting a LOT of notes and messages for him to practise writing alphabets at home, I finally got the message –They want ME to teach my kid the alphabet. I know mothers are supposed to be the 1st teachers of their kids, but they certainly cannot expect us to learn the 26 alphabets in a few months. I remember when I intern-ed for a pre-school back in college, one letter was taught for days. I’d been “tutoring” him the alphabets in such a lazy manner. And, it showed that it was not effective as we still get notices and messages to study. So Mati and I finally got into a pact — one letter per day. But not before becoming a monster to him (the details are horrible). We will study one letter per day. If I’d still get notice and messages to study, I would send the below chart so that the teacher would be updated about mati’s “advanced” level. With news of tri-athletes dying on ironman races made us think about the odds of doing this kind of endurance sport. But what I realized is how we have plans of how to LIVE, but not much of us plan on how to DIE. We can probably narrate our various grand plans on what we want to do in each phase / age / quarter of our life, but not much when it comes to dying, except buying a memorial plan. Before death on ironman races came out, I already have a plan on how I want to die. It was inspired by death of Caballo Blanco (Micah True). He died while he was running on a trail. If you had read “Born to Run” book, you already have an idea why his death is sort of symbolic. But if not, google can help. =) So the point is he died while he went out for a run on a trail, he died while doing what he loved and what he was passionate about — running. My death plan is to die in an ironman race. I’m no tri-athlete. But I love watching ironman videos. The raw pure human soul is just so amazing at ironman (or any endurance sport). Except for 10-20% of elite / professional ironman participants, the rest are just typical “average” (physical-wise) people who do it without getting any thing, monetary, in return. Thus, it’s always a wonder why these people are putting theirselves in such “torture” for nothing? There must be something more than the world-can-understand that fuel them to get thru an ironman. I fear growing very old. I always think that 65 is my sweet spot to die. I’m more scared of growing old, than dying. So when I saw Sister Madonna, I thought to myself that if I get to reach beyond 65, I will join Ironman. I want to actively seek out my death. I want to meet and greet it, look it in the eye. I want to hold death in my hands. Of course, God may have different plans but I’ll do what I can do. I don’t want to be lying in bed, or do nothing, but wait for my death. So the first tidbit of news I heard about the casualty in the recent Cobra Ironman in Cebu, my first impression was COOL! That’s the way I want to go. But later on, I felt my reaction was quite blunt when I realized that he was a husband of a runner, who I am familiar. But this image poster by Tony Galon pretty sums up of what everyone feels about the incident. So, dear death, see you in my ironman race!